“I want to talk about the New Year. I have so many thoughts about this… “it is opportunity that both separates and connects.” That sentence could be the topic for an entire semester in graduate school. After Emma wrote this, I asked her if I could share it with Richard and on here, to which she nodded and wrote “yes.” Richard and I had different responses to the word “opportunity” but when asked to clarify, Emma was already listening to her music and as I told her our study session would last 25 minutes and no longer, I did not press her to elaborate. I will end this brief post by saying this past year has been a monumental one for me and my family. As I look back on previous years, there have been none that can compete. Here’s to embarking on another incredible year filled with curiosity and wonder. Thanks to all of you who have read, commented and/or reached out. I wrote about some of these ideas before in the Fantasy For Autists post a couple of weeks ago. This is a follow up post, a fantasy for parents of newly diagnosed autistic children. 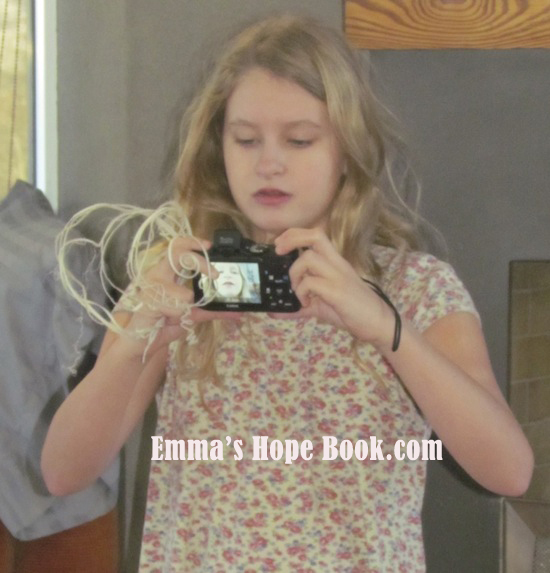 When Emma was first diagnosed I felt fear more than any other emotion. It was overwhelming and crushing. The word “autism” carried with it a weighty sense of doom. People have described it as akin to receiving a “life sentence,” it was a word I knew almost nothing about, and what I did know wasn’t good. 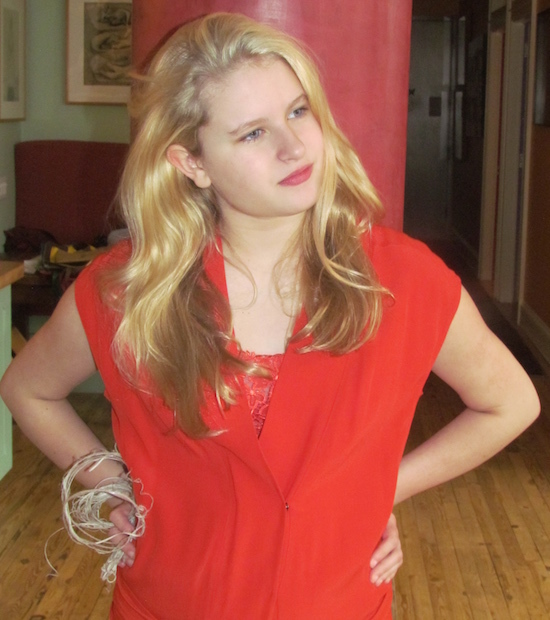 “We don’t know what causes it,” “There is no cure” were the words we were told many, many times by the various specialists we went to, seeking help for our beautiful, happy, fiercely independent daughter. Those words were said matter-of-factly, but the grim set of the lips by those who spoke those words belied the truth, it seemed. Some specialists would follow those words with a sad shake of their head, often done while uttering, “I’m sorry” as they ushered us out of their office. The doctor’s appointment now over, we were left standing alone, confused, terrified and overwhelmed by what we could not understand, by what could not be explained, by what seemed like a dark cloud enveloping every aspect of our lives. Then there were the depictions in the media of the devastated families struggling to make ends meet, the scary images of the perseverative, stimming children in full meltdown, family members run ragged, siblings, silent and resentful, spouses angry and argumentative, and the autistic child, always somewhere in the background, seemingly oblivious to all the chaos they supposedly had created within, what would otherwise have been, the perfect American family, had they not been born. While this may help with fund raising by preying on people’s fears and pity for those less fortunate than themselves, it is these depictions that the newly diagnosed child and her family will see. Can we take a moment and consider how these depictions make the newly diagnosed child feel? What message is being sent? This child that everyone is so sure isn’t picking up on any of this, but perhaps is. What if that child understands a great deal, even at the young age of a year and a half ? What if that child is extremely intelligent and feels the overwhelming sadness their very existence seems to be causing their family? What if these feelings are then intensified by the things that are said between family members in front of the child or within hearing distance of the child? How would this affect the CHILD? Think if you grew up feeling you were a mistake, damaged and broken? What if the words that were used about you and to you were said with anger, exasperation and annoyance? What if instead of being given the help you so desperately needed, you were told that the things that helped you concentrate and focus were wrong? What if you were told almost everything you did was wrong? Would that help you do things differently? These negative images are also what will flash through the minds of the parents as they are given the “dreaded” diagnosis. Listen to any newscast about autism. The way the news anchors say the word – “autism” – the voice lowers, there is often a hesitation before the word is spoken. Look at the statistics, the alarming statistics that cause everyone to feel frightened, because we know so little, so we fall into fear, fear of the unknown, fear of what might be, fear of the future, fear of the present, fear. Is all of that fear helping any of us? Does fear help us as parents do a better job parenting our autistic children? Does the fear give you patience, does it help you when your child is unable to express themselves and so acts out? Does that fear make any of us behave better, more appropriately? Does the rampant fear help us sleep at night? How’s all that fear working out for you? Does it help? And if you think it does, I’d love to know, how? But what if this was not the way families were introduced to autism? What if instead of sitting with the sympathetic, yet professionally aloof specialist the family was introduced to a group of self appointed adults, all of whom were autistic. What if these adults were verbal and nonverbal, women and men, spanning a wide range of ages? What if each Autist “spoke,” whether through language or by typing or through a voice activated device? What if the families were able to ask questions and were allowed to approach these Autists and even were able to have one or two or more assigned to them, the way a social worker is now, during Early Intervention? What if those Autists were available to the family and their autistic child? What if these were the people the family could turn to when they had questions, needed help finding resources, schools, methodologies or just wanted to check in with someone who might understand their child better than any pediatrician, psychologist, developmental pediatrician or neurologist could? What if each Autist was given an opportunity to discuss what it was like for them growing up, the things that helped, the things that didn’t? What if those Autists discussed how to teach life skills? What if each family went away from this initial “welcoming” meeting with a folder that included a handbook written by Autists, a list of resources of Autistic doctors, neurologists, pediatricians, Autistic run schools with curriculum approved by Autists and others designed by Autists, and a list of some of the essential things parents need to know and remember as they help their autistic child live and thrive? What if, instead of being bombarded with frightening stories of self injurious nonverbal children we were shown videos of nonverbal Autists helping those children learn how to cope? What if we were shown videos and news programs about all the Autistic adults who are pursuing their passions? What if there were Autistic lawyers, neurologists, accountants, pediatricians, veterinarians, Occupational Therapists, Speech Therapists, Teachers, Educators, Head Masters, scientists, musicians, singers, performers, painters, writers, that we were all exposed to and knew about? How would this change how we viewed our own children? What if we were given the support we needed to help our children reach their potential without sadness, fear and pity? What if? My wish for Mother’s Day is that one day this will no longer be a far-fetched fantasy, but will be a reality. I’m having “a morning.” You know, the kind where, despite how organized you are, despite how well you laid everything out the night before, everything seems to work against you. So rather than go on a rant, enumerating all the things that have managed to go “wrong” in the last three hours, I’m going to reflect on Emma. Because Emma is a very, very happy little girl. 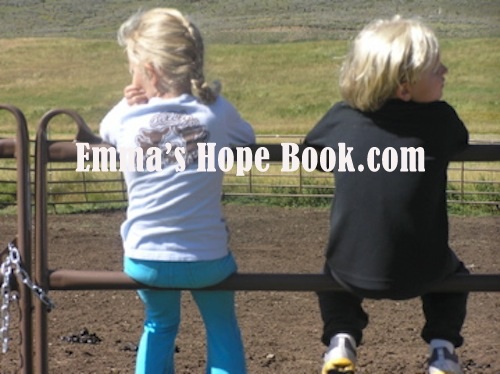 In fact, unless Emma has gotten into a perseverative loop about going to the zoo or someplace that she has become fixated on and feels she cannot do without, she is in a state of bliss. 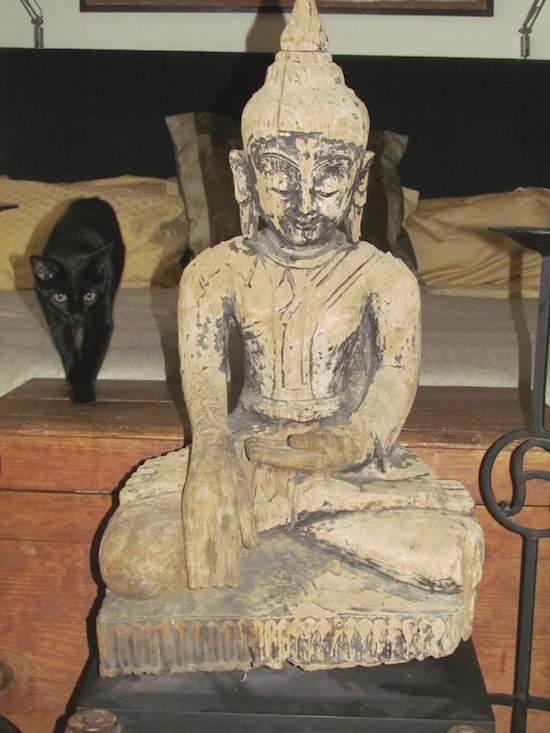 It is the sort of blissful state achieved by gurus, yogis or LSD, or so I’m told. Yet Emma comes to this place naturally. She does not have a “practice,” she does not sit cross-legged staring at a fixed point for an hour each day, she does not meditate, feeling euphoric if she managed to pause the endless chatter in her head for even a few seconds, no, Emma is full of joy almost constantly. Today is Autism “Awareness” day. It is a day that was intended, and no doubt with the best of intentions, to bring much needed awareness to the larger community. Yet, instead it has become a day that many of us dread. Instead of bringing awareness about what it means to be autistic, we are bombarded with frightening statistics. Statistics that many will read and then, feeling helpless, will turn the page. I’m all for awareness, but let’s then be aware. Let’s be aware that our society does not embrace those with disabilities. Let’s acknowledge that our school systems are failing our autistic children. Let’s look at our government and exactly what is being done to help those who are autistic. Let’s take a good hard look at autism. Let’s look at the prejudices, the bullying, the marginalization of people on the spectrum. Let’s take a good hard look at ourselves. Are we assuming incompetence when confronted with someone who makes grunting noises, whose speech is garbled, who flaps their hands, or doesn’t look us in the eye? When someone cannot speak do you assume they have nothing to say? When you see someone, on the airplane, in the playground, sitting next to you on the bus or subway, who is acting differently, do you move away? Do you feel irritation? Do you feel annoyed? Do you feel impatient and wish you’d gotten onto a different car or bus? Awareness begins with each of us. Awareness is more than lighting something up a given color. Awareness begins with being open. Awareness means stopping and examining our beliefs. Awareness means asking questions. Awareness begins with each of us. Let’s not allow it to become meaningless. Posted in Autism, Autism "Awareness"
We say things like – “oh he’s schizophrenic,” “she’s bi-polar,” “she’s anorexic,” “he’s an alcoholic” and the meaning gets conveyed and yet, is it? After all that’s not ALL the person is. It’s something they have been diagnosed with, perhaps are struggling with, it’s a medical term, but it does not encompass who and what that person is in their entirety. When I hear someone describe another person as “autistic” I understand that person has been given a diagnosis of autism, but I don’t presume to know much more about that person. For example, I won’t know if this particular person diagnosed with autism can speak, read or write, they may have other issues, physical issues, other diagnoses added on to further illuminate, but the labels begin to overwhelm the actual person. I can’t know from the various labels whether the person has a sense of humor, if they have terrific eye contact or no eye contact, whether they cringe at physical contact or whether they seek it. The word “autistic” does not give me any clues as to whether the person is gregarious or shy, enjoys reading about painting or knows everything there is to know about quantum physics. The label does not tell me about the person’s passions, dreams, desires or talents. If I knew nothing about autism, having someone described to me as such might cause me to presume a great many things. Things I would be completely wrong in assuming. I avoid using the word “autistic” because it implies more to me, than saying “she has autism.” It’s a subtle distinction, but to me, anyway, it’s there. 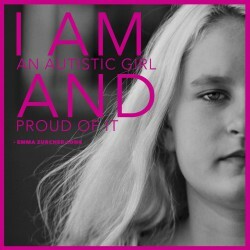 Emma is so much more than a diagnosis. She is pure Emma. And Emma is complex, just like the rest of us. She is funny, a talented singer with a beautiful voice, she has a personality and temperament that are unique to her. She loves to run and swim and swing her arms and zip around on her scooter. She enjoys being read to, sung to, and any game that involves running. I dislike that her diagnosis takes up so much room in people’s minds. I do not like that when people hear she’s “autistic” they make assumptions about her, almost always incorrect. Can you imagine what the world would be like, if all of us took all these labels, our shorthand for communicating and tossed them out the window? We would live in a world, which would make prejudice and judgements much more difficult to come by. We would have to live in the discomfort of not knowing. But what a great way to live! 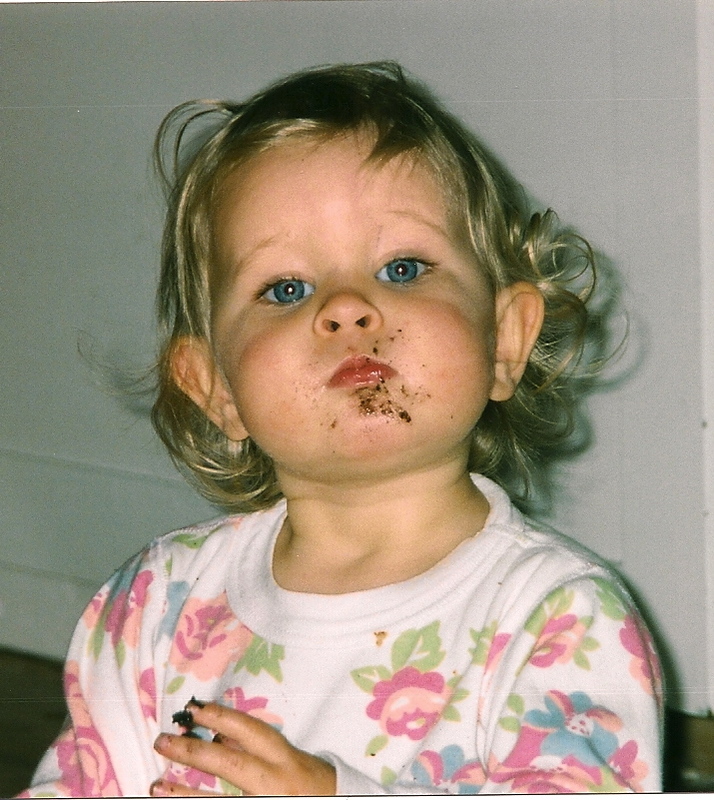 Emma – 13 months – eating a brownie. The clip is an amazing example of a severely autistic non-verbal teenager who finds a way to “speak” by typing on her computer. What occurs as a result is profound with far-reaching implications for all of us. I love this. We live in a world, populated by people whom we often judge. We tend to come up with ideas about other people and the lives they live. The unknown can be uncomfortable and so we draw conclusions and then behave as though these conclusions were facts. Someone cannot speak and we conclude they’re intelligence is lower than those who can. A person is disabled and we conclude their intelligence is disabled as well. How can we embrace what we do not know or understand? It can be a frightening prospect and yet it is the key to a better understanding. When my father finally succumbed to a wheel chair, having had a debilitating accident in his 40’s he was treated differently. People condescended to him, they felt sorry for him. He was a proud man, who at one time was extremely athletic. Being in a wheel chair changed him. He became despondent, he hated how he perceived people were viewing him – with pity. 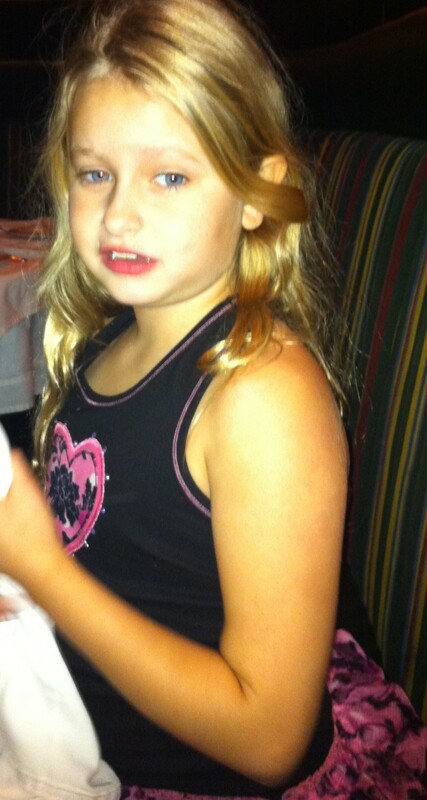 When we are out with Emma, people at first believe her to be a “normal” little girl. But once they speak to her or are with her for an extended period of time, they begin to realize she is different. Usually they have no idea what is “wrong”, but the way they behave changes ever so slightly. Sometimes they’ll raise their voice or their tone will change. They clip their sentences, they speak as one might to an animal. (I have been guilty of many of these things, by the way.) It is confusing to be confronted with a child who looks neuro-typical, but who clearly is not. I wish I could inhabit Emma for a day so I could feel and know what it is to be her. Would I treat her differently if I knew what it was like to be her? I hold onto the idea that if I continue working with her on her reading and writing, one day she’ll be able to tell me. “Crash into foof!” she said, breaking into hysterical giggles. “Go to the computer with Mommy and Daddy,” Emma said. “Is it easier to communicate on the computer?” I asked. “Yes. Computer with Mommy and Daddy,” she said. “Okay. We’re going to work on that,” I said.